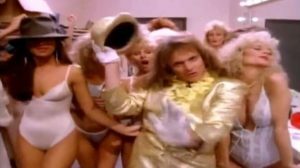 David Lee Roth – Just A Gigolo / I Ain’t Got Nobody – Official Music Video. “Just a Gigolo” is a song, adapted from the Austrian tango “Schöner Gigolo, armer Gigolo”, composed by Leonello Casucci in 1928 to lyrics written by Julius Brammer “I Ain’t Got Nobody” (or “I’m So Sad and Lonely”) was written already in 1915 by Roger A. Graham (lyrics) and Spencer Williams (music). The combination of these songs was created already in 1945 by Louis Prima (and recorded in 1956). 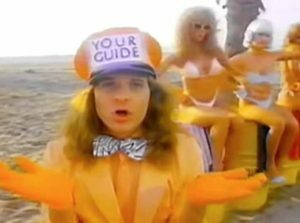 Just A Gigolo / I Ain’t Got Nobody medley was covered by many artists, including Village People (1987). 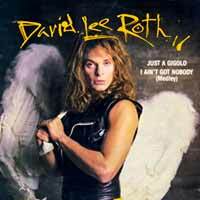 The cover by David Lee Roth was released as the second single from David’s 1985 EP “Crazy from the Heat”. The single reached number 6 on the singles chart in New Zealand, #7 in Canada and #12 in the Billboard Hot 100 Chart in the United States. The music video parodies a number of pop-music artists – Michael Jackson, Billy Idol, Cyndi Lauper, Boy George and Willie Nelson.